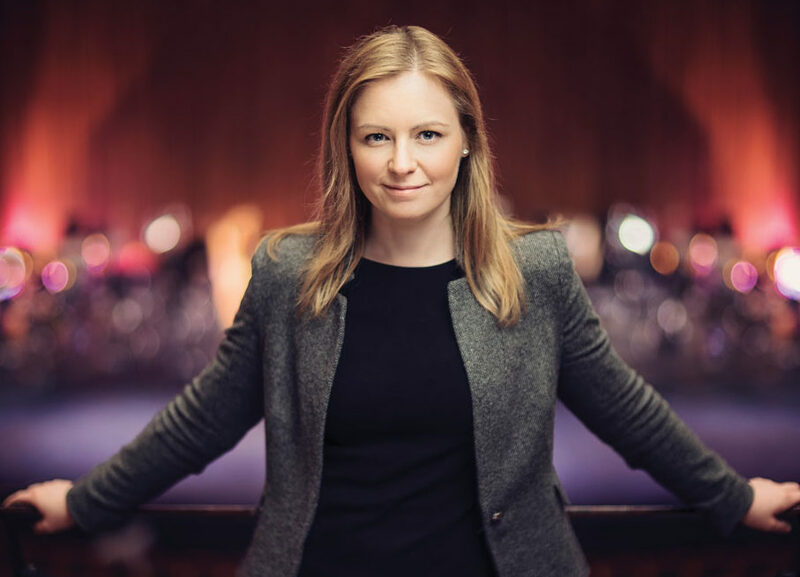 Gemma New, Local 293 (Hamilton, ON) member, is music director of the Hamilton Philharmonic Orchestra, resident conductor for the St. Louis Symphony Orchestra, and her guest conducting engagements have her circling the globe. New Zealanders are known for their “big OEs” (overseas experiences), but Conductor Gemma New has taken that tradition to the extreme. 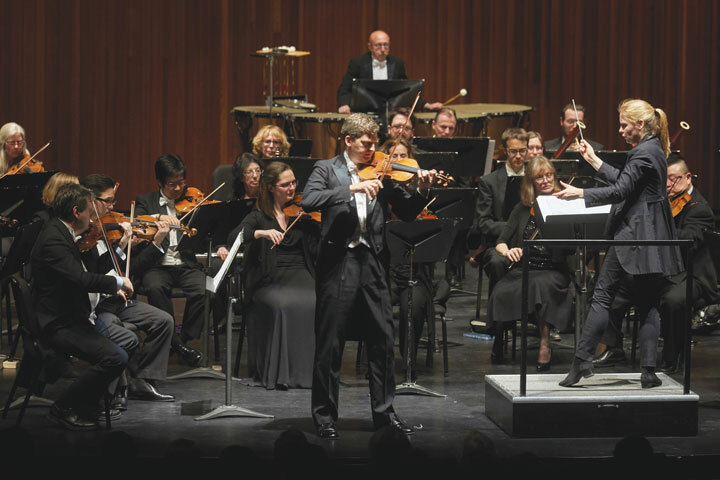 Her positions as music director for Hamilton Philharmonic Orchestra in Ontario and resident conductor for the St. Louis Symphony Orchestra mean she almost always has a bag packed during the concert season. And then there are her many guest conducting engagements. She says she’ll find herself in at least two different cities just about every week this year. In recent seasons, New has made conducting appearances with Royal Scottish National Orchestra, Helsingborgs Symfoniorkester (Sweden), Malmö Symfoniorkester (Sweden), and Filharmonia Szczecin (Poland), plus with the Albany, Atlanta, Berkeley, Long Beach, New Jersey, North Carolina, Omaha, San Diego, and Toledo symphonies in North America, as well as Aukland Philharmonia, Christchurch Symphony, and Opus Orchestra in New Zealand. Even in the off-season she earns her miles. In Lausanne, Switzerland, in June, she conducted the Orchestre de Chambre de Lausanne. Then, she spent about two months as a conducting fellow at the Tanglewood Music Center. 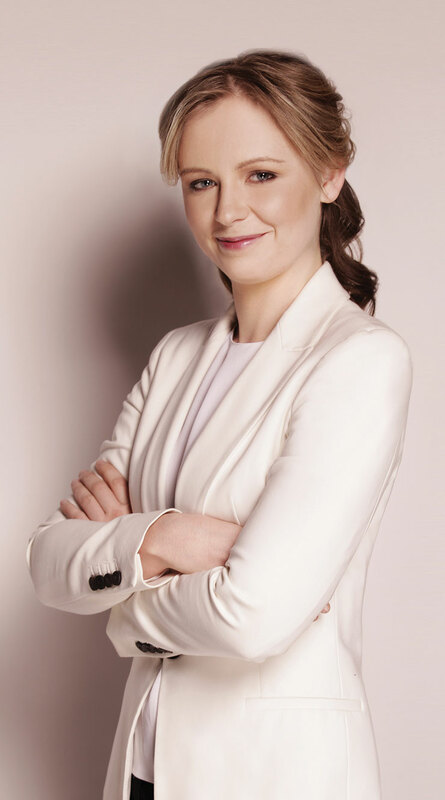 “I conducted in the weekly symphonic and ensemble programs and I was mentored by conductors such as Andris Nelsons and Herbert Blomstedt,” she says. 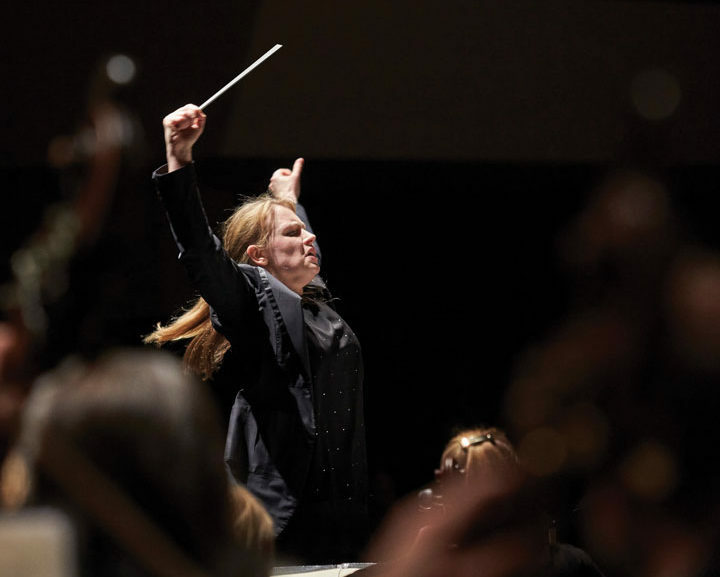 She also fit in guest conducting with the Chautauqua Symphony Orchestra and the Grant Park Symphony, and back in St. Louis, she held auditions for the youth orchestra and conducted some summer pops programs. New thrives on these engagements. “I love getting to know an orchestra and working on this beautiful music with them. To work with the orchestra is always a joy—it’s a great week!” she says. She recalls first deciding she wanted a career in music at age 12 when she was part of a program combining two youth orchestras. “There were more than 200 of us on stage. I was so inspired. That’s when I realized that I wanted to be part of this for the rest of my life,” she says. Over the next few years of high school she had opportunities to conduct various groups. “I asked people for advice and then I moved to Christchurch and went to university there,” she says. Eventually, she got the job conducting the youth orchestra and assistant conducting the Christchurch Symphony. New graduated with a Bachelor of Music (Honors) in violin performance from the University of Canterbury. She also earned her master’s degree in orchestral conducting from the Peabody Institute in Baltimore. She was a Dudamel Conducting Fellow with the Los Angeles Philharmonic, among other fellowships. When she took the position as music director for Hamilton Philharmonic she was happy to join Local 293 (Hamilton, ON). New says it is “very important” for musicians to join together in union for mutual support in the workplace. Throughout her career, New has continued to work with various youth groups, including in L.A. She’s involved with Hamilton Philharmonic Youth Orchestra, Hamilton’s Young Musicians Boot Camps, and is music director of the St. Louis Symphony Youth Orchestra. “I am passionate about young people playing together in orchestras and I love being a part of it every single time. When I work with young musicians I see their passion, enthusiasm, and dedication to performing music together. I love to see how they grow from the very first week until the last week of our year; it’s incredible progress and very inspiring,” she says. Just looking at next month’s agenda, she’ll have her New York Philharmonic debut in November. Then there’s a partnership with the St. Louis Symphony performing new works from composers studying at University of Missouri (Mizzou) School of Music and the film Nightmare Before Christmas. “We also have a partnership with St. Louis University for their anniversary and a youth orchestra concert. And that’s just for St. Louis Symphony,” she says. “For Hamilton, we have one of our main stage concerts, “From Broadway to Tin Pan Alley,” with Doug LaBrecque, which I will be conducting. I will be guest conducting Jacksonville Symphony in “A French Fantasy”—a beautiful program of French music,” she says. “The rest of the season is equally demanding,” says New. She has engagements with Toronto and Detroit symphonies, as well as Brandenburgisches Staatsorchester in Frankfurt, Germany, to name just a few.